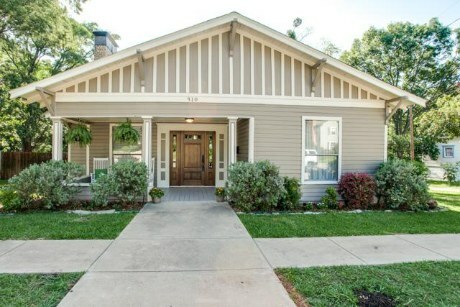 McKinney’s downtown historic district is bustling — and you could find yourself with a home within biking and walking distance from some of the fun shopping, entertainment, and dining available, thanks to this adorable 1950 cottage we found for this week’s Tuesday Two Hundred. 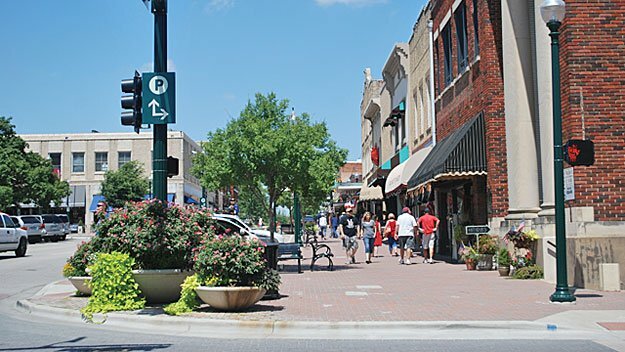 Downtown McKinney has won some awards for its incredible main street feel, and is home to more than 120 small businesses. 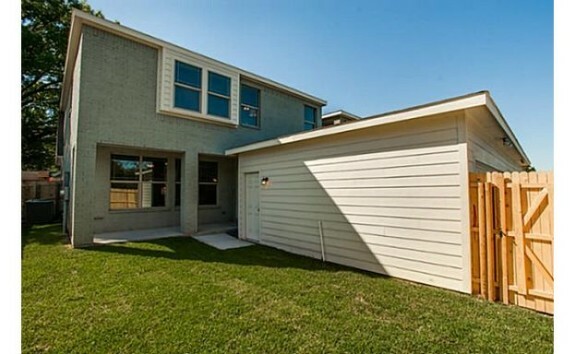 So whether you want to walk out your front door and head over to Tennessee Street, or stay put at home and enjoy the great large private backyard that is party-ready, you can appreciate all the options provided. Historic downtown McKinney is full of character and tons of cute houses. 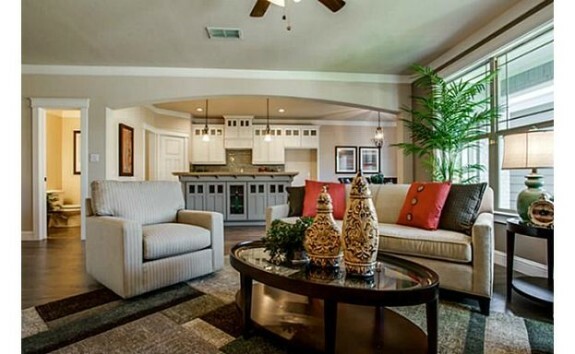 It’s one of the reasons “Money” magazine chose this Collin County suburb as the No. 1 place to live in America for 2014. Well, the good news keeps pouring in for Collin County. First Allen is named one of the safest places to live in Texas, and now McKinney is named the best place to live by Money magazine. With jobs, shopping, excellent schools, and the cutest historic downtown, McKinney has a lot of the things American families are looking for, according to Money. Historic homes have many charming quirks that make them popular with people who are prepared to put up with the headaches they sometimes provide. To say that building codes have come a long way since the turn of the century, which was when many homes in McKinney’s historic neighborhoods were built, is a vast understatement. Still, when building a home in an area with character such as the T. T. Bradley subdivision, attention to detail inside and out is key. That’s why this cute farmhouse at 408 Byrne fits the area like a glove! I know we toss around the words “adorable,” “cute,” and “sweet” around a lot here, but this is one of those homes where you look up the definition of any of these words and it’s sitting there as the perfect visual example. 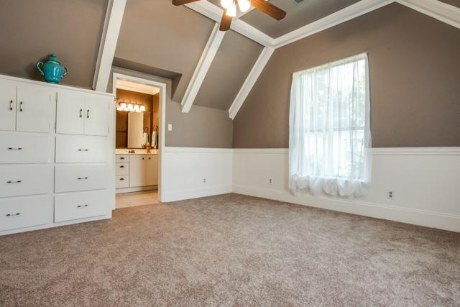 So perfect, right down to the breakfast nook and farm sink. What if you could have all of the adorable features you find in a traditional 1920s-era Tudor without all of the tiny rooms, claustrophobic water closets, and impossible-to-maintain stained-glass windows? 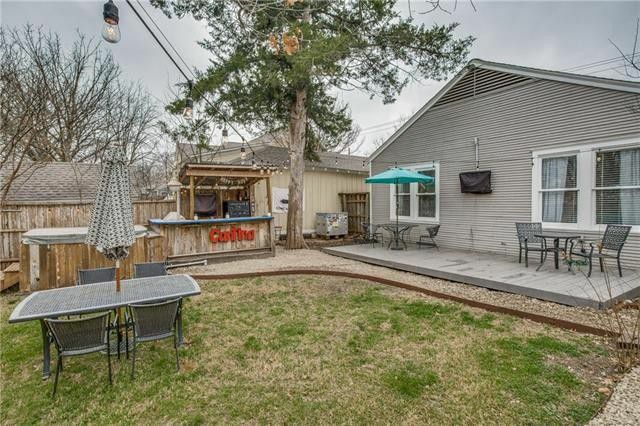 When I tell you that you can have it all and inside one of the best little neighborhoods in McKinney, well I’m sure you’ll just flip your lid. 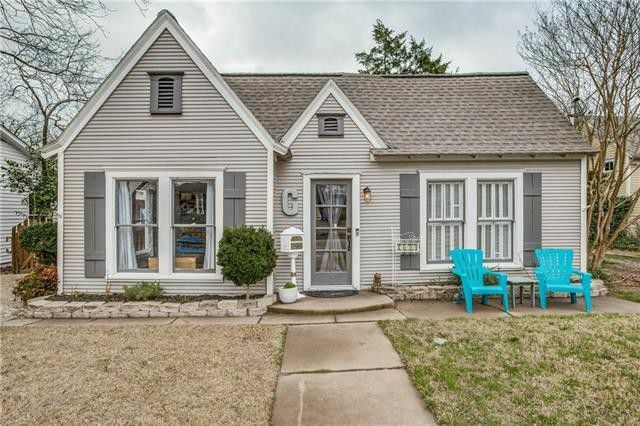 Marketed by the Rierder & Hogan Group at Ebby Halliday Realtors for just $330,000 is this adorable gingerbread Tudor at 508 N. Tennessee. It’s in the sought-after Lustig neighborhood near downtown McKinney and you’d totally think it (and its twin next door) were straight out of Lakewood Heights, Gastonwood, or Hollywood/Santa Monica and built in the 1920s, but guys, this cutie was built just this year! 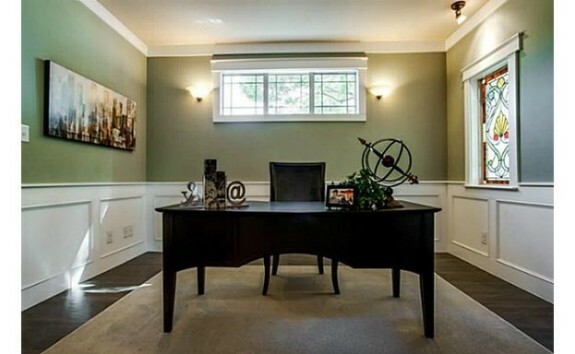 So you get all the benefit of new construction and all of the curb appeal of a classic Tudor. It’s totally win-win! 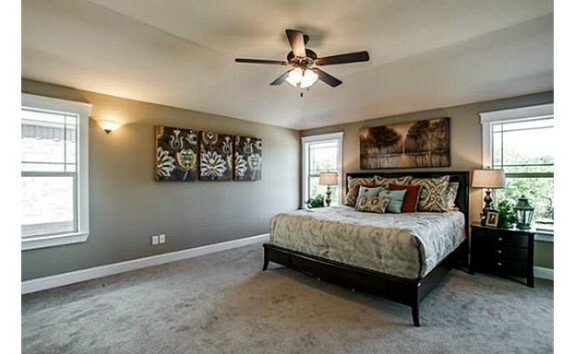 And of course, you get excellent schools, too, and this lovely four-bedroom, two-and-a-half-bath home is just a short walk from the historic McKinney Square. 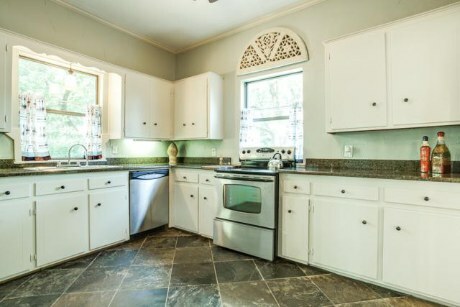 The kitchen, with its two tone cabinets and sage green subway tile backsplash is just the cutest thing ever. 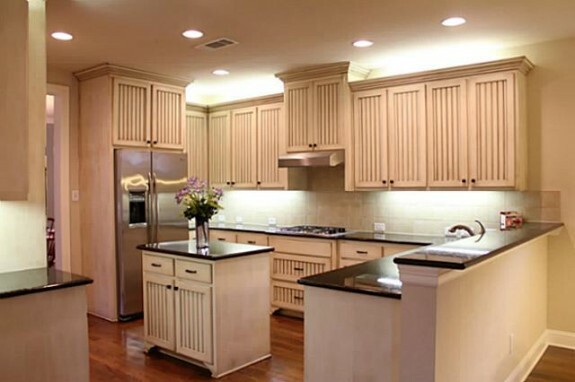 It’s also a great opportunity to make the kitchen totally yours by picking out all your own appliances. 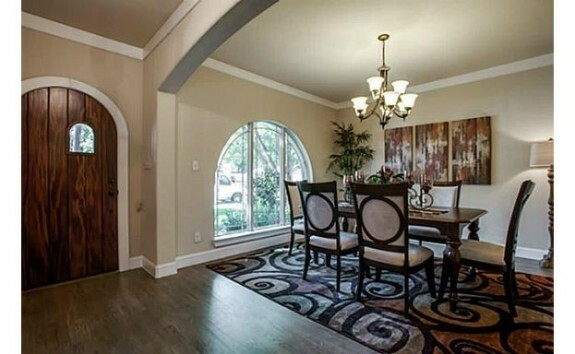 Everything’s new inside, but you don’t have to sacrifice on period details like stained glass, arched doorways, or gorgeous wood floors. What you won’t miss is all the walls you’d have to knock down to open up and renovate a 1920s Tudor, because this home just flows so perfectly thanks to an excellent floorplan and tons of huge windows. I love that this master bath is a five-piece bath with a great layout — it flows from the spacious master to a smaller sitting area, and then opens up to this oversized bathroom with fully-enclosed shower. You get to pick out your own mirrors, too! 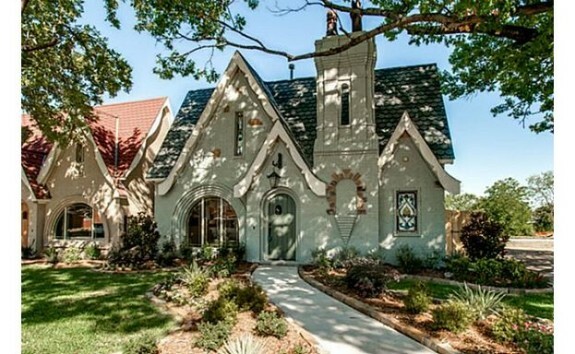 And speaking of huge, I’ve never seen a 1920s Tudor that was more than 2,000 square feet, but this gorgeous house is 2,450 square feet with a lovely backyard. So what do you think? Is this cutie just as good as the real thing, or better? I may not live in the suburbs, but that doesn’t mean I don’t like them. In fact, I do love a good small town feel, like the one you get with McKinney’s W.A. Rhea historic district. 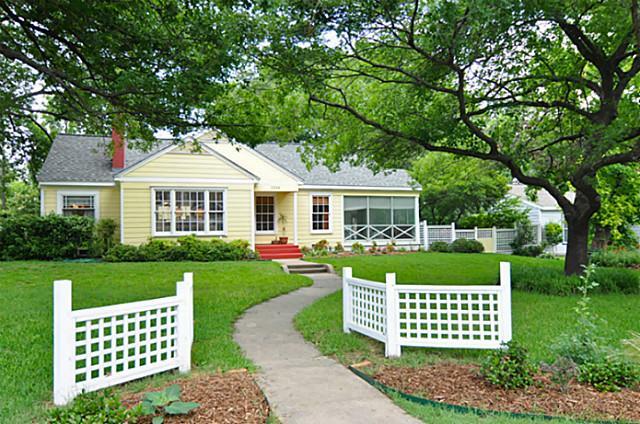 Tidy sidewalks, lots of picket fences, and a great area to teach your child how to ride a bike. If this small town America feel sounds like a jackpot to you, then you’ll love this 1940 prairie-style home. 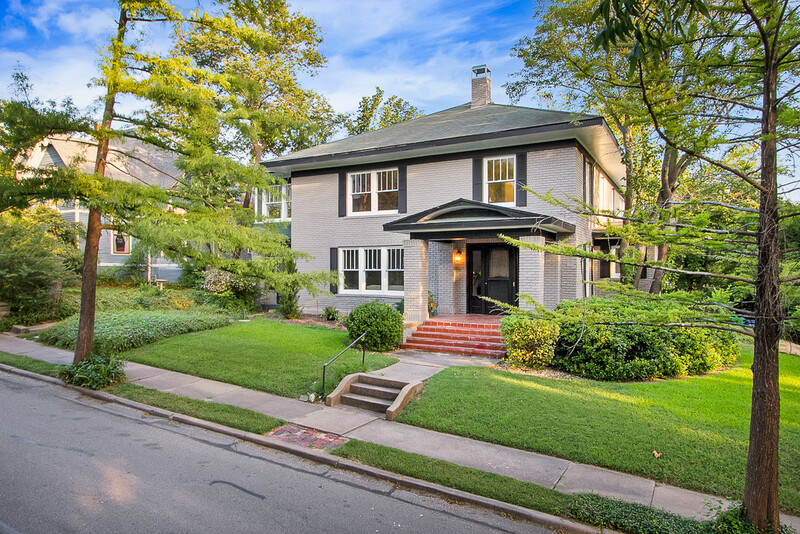 At 310 N. College Street is a completely updated four-bedroom, two-and-a-half-bath, 2,100-square-foot historic gem that will make your heart skip a beat. It’s listed by Private Label Realty for $274,000. 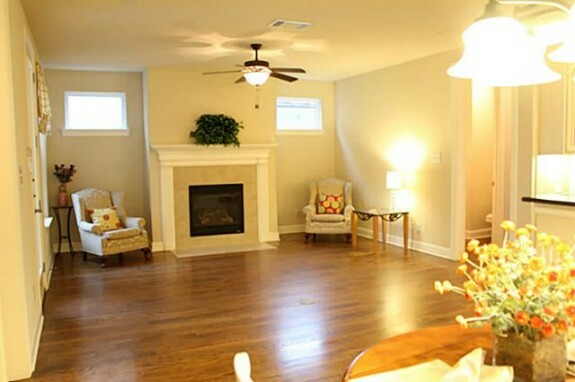 From the refinished floors to the new lighting fixtures, everything in this home has received a good going-over. The huge front porch remains, which is an absolute bonus considering that it’s a great place to meet and greet your new neighbors, which I am sure will be just as thrilled to meet you. I mean, how could you not? 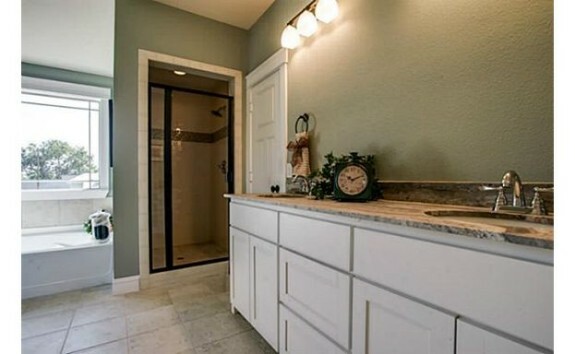 Inside you’ll find fresh paint and built-ins that will make you wonder why you ever considered buying a homogenous tract home in some HOA out yonder, where you’ll probably be greeted by bobcats and coyotes. I’m just sayin’. 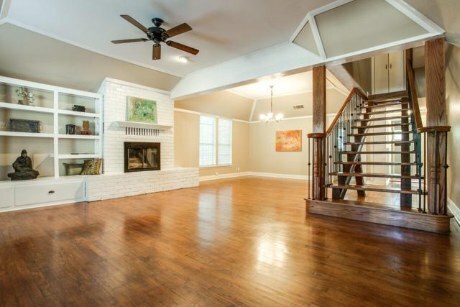 The painted brick fireplace is beautiful, but the real scene-stealer is that cool staircase. I love that it doesn’t obstruct your view of the rest of the first floor. Genius! In most rehabbed kitchens you might find builder-grade cabinets and blah, blah, blah … yeah, I’m already bored by that, too. Which is why I’m so glad that they kept the original cabinets in this adorable cottage. Remember: If it ain’t broke, don’t fix it! With a fresh coat of white paint, some lovely slate tile, granite counters and stainless fixtures and appliances, it looks so much more at home in this historic property. 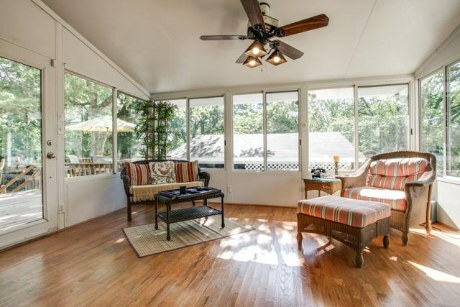 I love the sunroom, too, which gives you a great place to hang out when it’s too hot in the summer and too chilly in the winter. 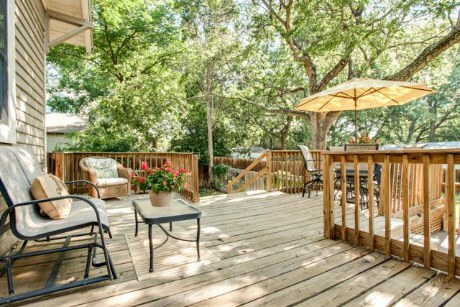 It also gives you a great view of the excellent deck and huge backyard — another bonus of buying an older home. The master bedroom is 14×14 — a good size for this age of home — and features wainscoting and built-ins, as well as cool vaulted ceilings and exposed beams. In the master bath you’ll find a gorgeous claw-foot tub and even more wainscoting, as well as a separate shower and two separate vanities. 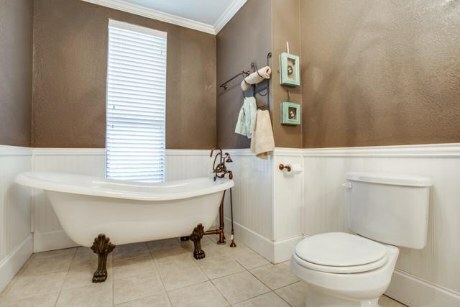 I love the configuration of this bathroom as it is very versatile. And that brings us to the gorgeous backyard, where there is an ample deck and plenty of room for you to garden to your heart’s content, living your own Mayberry dream. Seriously, how could you not love this house? Thursday Three Hundred: McKinney Cutie on Founders Square is Very, Very Victorian! Our Thursday Three Hundred is coming to you a little late today, but once you see this house you will agree that it was worth the wait! 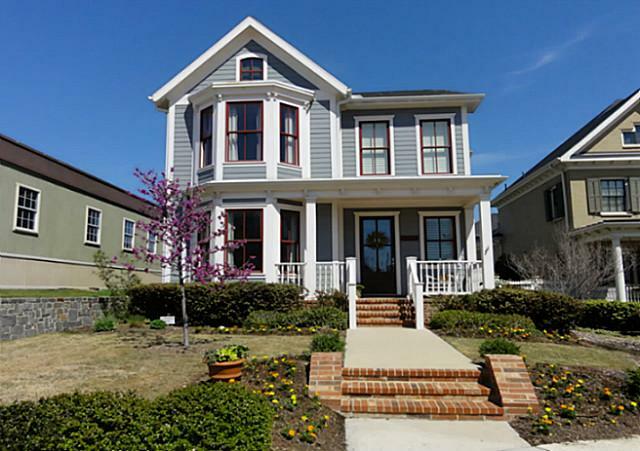 I love Victorians, and 7212 Percy Drive in McKinney doesn’t disappoint! This cutie patootie has three bedrooms, two and a half baths, a pool, and a two-plus-car garage. With all of these features and all of that character, you’d think this home was built way back in the Dark Ages and then lovingly renovated. NOPE! This house was built in 2008, folks! 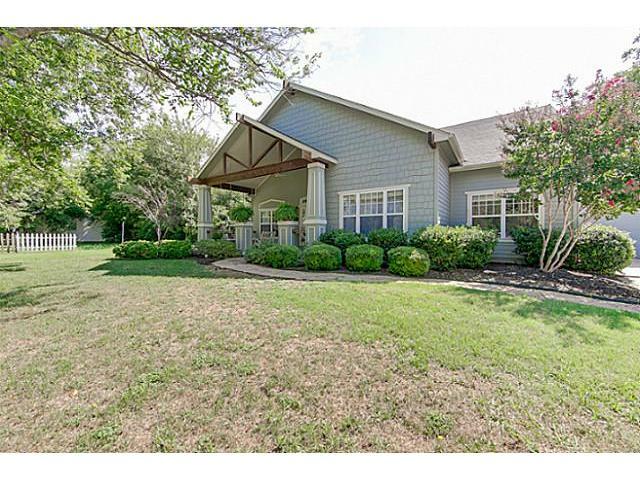 Located in the Tucker Hill neighborhood of McKinney, you get close to 2,500 square feet of home with a first-floor master bedroom for a recently reduced 309,900. This neighborhood feeds into Prosper ISD, so there are some great schools and small class sizes. Things I love: The kitchen! It’s so cute! 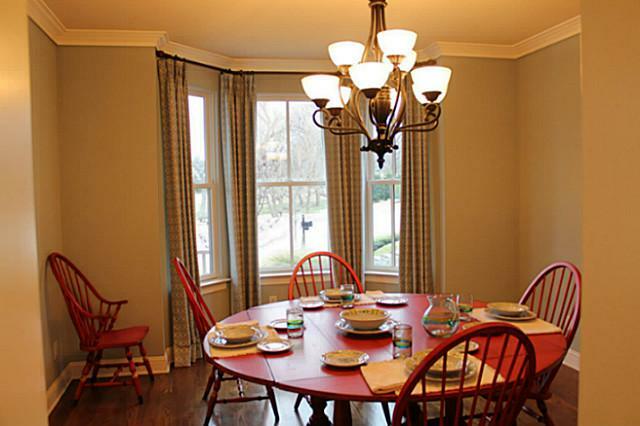 The white beadboard cabinets and dark counters, and the breakfast bar are just perfect. The steep staircase adds some charm, too. And there’s a powder room! 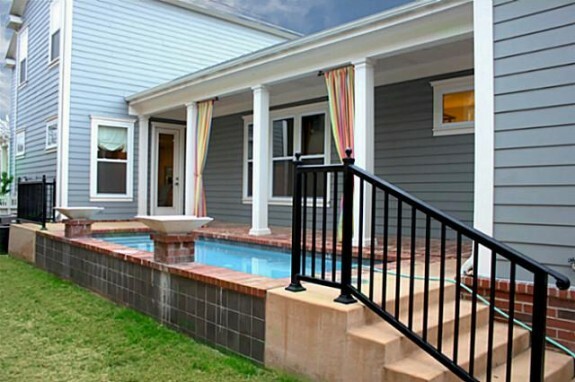 There’s not a whole lot of yard, and the pool is tiny, but when summer really heats up, you won’t care about the size of the pool, only that it’s full of water and has a spot on a ledge for your margarita.